Characters: 5 Wow. I love Penny. She has to deal with self doubt, anxiety, and awkward encounters as she makes her way through college. Penny starts unsure of herself and her identity because she's never really gotten to form one, taking care of herself in the shadow of her young, larger than life mom. Eventually, selective, careful Penny finds a tribe that she can lean on while she dreams. Sam lives his life in the moment, unsure of what the future will hold. His current situation works well enough except for Lorraine, his longterm, volatile girlfriend. Penny works as a stabilizer in his life even though her world moves so fast. They cancel out the other's chaos in a way that only your person can. 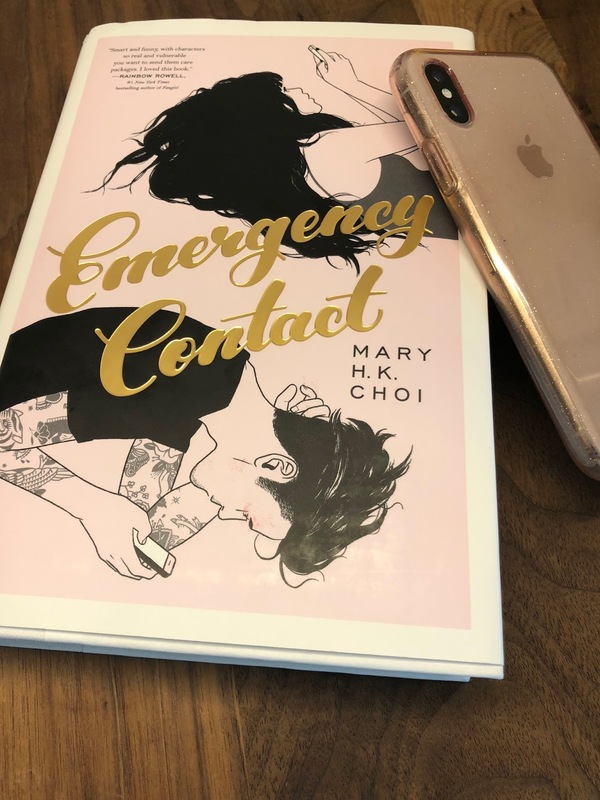 As the book is told in third person, I do feel that Choi is almost a part of this in a deeper way influencing the delivery in a way that is almost a voice independent from Penny and Sam's as it moves through their chapters. While Choi's voice is clear, the tone is very much in tune with the character's current place so that it evolves along with them. This is a unique aspect to this book that I'd never experienced before. Plot: 5 This story blew me away. I love how complete a world is crafted in these pages that exist mainly between the dorms and the caffe. This book shows just how engrained cell phones are in our culture and how that isn't necessarily the tragedy the world makes it out to be. Penny and Sam have a very legitimate relationship that grows over the ability to communicate long distance. It's a true example of how a new generation has interpreted genuine communication. While I think that the slow evolution of romance, holding out on the boarder of friendship till the bitter end, makes for an amazing story, the most striking part of the novel for me came in a single, brief chapter. While it's not widely discussed in the synopsis or promo, Penny is a sexual assault survivor. In a very vulnerable scene, she reveals the fact to Sam. She explains what happened to her and her uncertainty around how much she was to blame. Not at all. And if she was wrong for not reporting it. Sam takes in this information with the perfect amount of reassurance and reads her cues about how far to probe. It never really comes up again, but it's a window into Penny and her reasoning as well as a look into an experience that rings too true to many women today. It's a quiet scene that truly moved me, and I thank Choi for infusing her book with so much honesty and vulnerability.